Flash aligners were the first made-in-India clear aligners by a medical solutions start-up of a 100+ year old company. Clear aligners are an alternative to metal braces. They are virtually invisible, removable and comfortable thus revolutionizing teeth alignment treatment. As a branding agency, OH! Design Studio’s task was to create a brand for this 3D printed clear aligners named ‘Flash’. We had to develop the brand’s identity and implementation across product packaging, guidelines, and launch collateral. We needed to blend design with brand’s strategy for experiential marketing. The industry research revealed that majority of players in this field at that time failed to deliver a strong sense of brand. Their packaging, which is a crucial brand touch point, can be fairly described as simple and devoid of sensory experience. Instead of playing with visuals on packaging to promote brand value, we decided to communicate a memorable experience through sensory primers. Our objective was to integrate brand experience into packaging design. 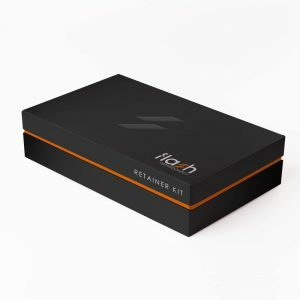 Product packaging box was designed using premium inner lining material and textured paper for the box cover. We created interactive points for consumers through pull trays, ribbon hooks, etc. The packaging was designed to increase pack interaction during unveiling creating a memorable sense of suspense. It was more of a keepsake than a throw-away product packaging design. Flash logo design represents product functionality and product benefit. Process of teeth alignment involves teeth movement- Design of letter ‘f’ depicts that forward push. 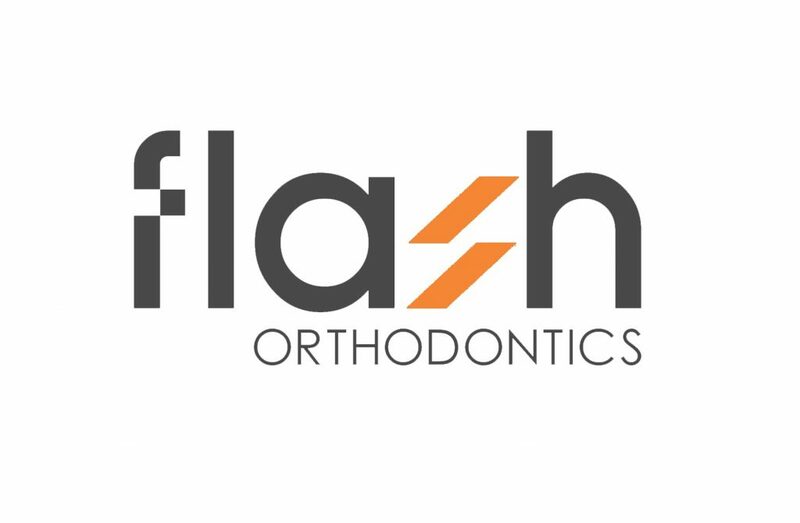 Benefit of clear aligners is aligned teeth- The mnemonic used for letter ‘s’ in Flash logo represents alignment through parallelism, which we achieved by the use of negative space.